They’re calling it the world’s largest classic car restoration business. They’re calling it the world’s largest classic car restoration business. So where are more than 200 people employed to put vintage Jaguars, Mercedes and other cars back on the road? Here’s the deal, according a story by Paul Hudson based on reporting by Malcolm McKay: Jim Byrnes is an Australian businessman and car collector who sold a company for $100 million in 2010 and started seriously investing in collector cars, which included finding a place to have them restored properly but relatively inexpensively, and in batches. 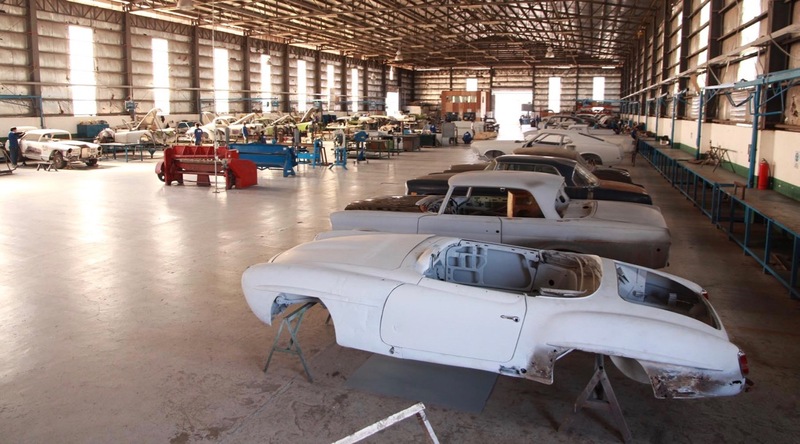 For example, on a trip to the U.S., Byrnes bought 37 Jaguars that the newspaper said were “languishing in a scrapyard in Texas.” From those cars, the restoration shop was able to turn out five completed vehicles. “If I buy the right cars, they’re a currency hedge,” Byrnes told the newspaper, “if the currency is down in one country, I’ll buy there. If it’s strong in another, I’ll sell there. Byrnes told the newspaper he’s selling quite a few cars to Chinese customers. 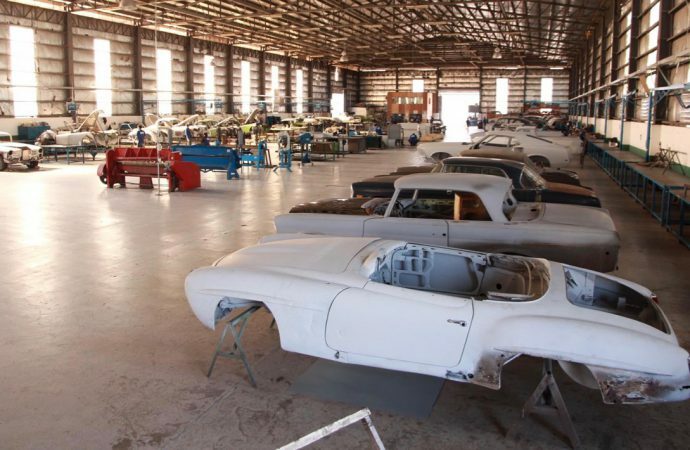 The 6-year-old Byrnes Motor Trust Restoration facility started with 35 cars, The Telegraph reported, but within two years had 400 vehicles waiting for restoration. “Every cheap MGB I see, I buy it. I’ve got eight twin-cam MGAs,” Byrnes told the newspaper. The newspaper said the chief executive of Byrnes restoration business is Jason Lemberg, who formerly ran the restoration department at Symbolic Motors in California. Lemberg said the shop does not have to compromise on its work because of labor costs. He also wants the shop to become a training facility for other restoration efforts and said it’s already working with a group that will maintain vehicles at a new Chinese car museum. Byrnes also established a metal shop in Poland to fabricate new body panels as needed, and his company also reproduces Dunlop brake calipers for classic Jaguars. For the first four years, while his staff was learning and honing its skills, the shop worked only on Byrnes’ own cars, but the newspaper reports that by the end of 2016, half of all the shop’s work will be for other clients.